Discussion in 'Rugby Video Games & Apps' started by Darhf, Mar 11, 2005. Digging deeper into Rugby 2005 files, I came accros the players file. It's in a custom format, but I can easily edit the names. However, all players are in a single file, so we should centralize the effort. So I ask, gimme the names ! I obviously only need the incorrect names. Before posting the names, check it hasn't been done before. All Except B.Belass -> ??? Perpignan names added. Thanks to kinu. Couldn't possibly be Benoit Baby could it? What position are we talking about? No, Baby is already corrected. Position is second row. For Toulouse, I think B.Bellas is Romain Millo-Chlusky (R.Millo-Chlusky) which is SR like Lamboley or Pelous. Did You try to listen the name of B.Belass in the game ?? Did they say "Belass" or other name... Sorry, I never play with ST !!! PS : if you want me to do the real names of the European team, just ask me ! nah, nah good luck with it all boys....just don't be so PC. Maybe he is mister bellas ?? 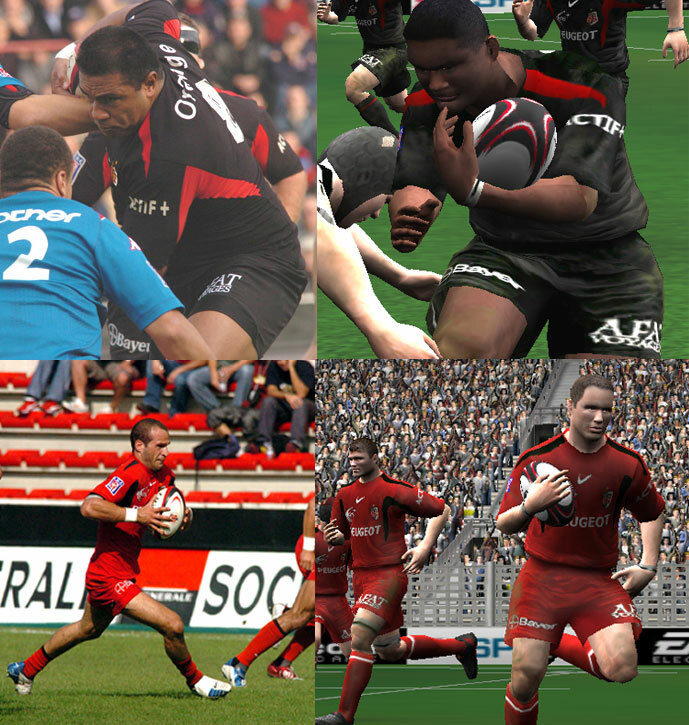 i do the away toulouse team kit in the HCup 2003-2004 (it's the away kit implemented originaly in the game). i must post it here? B.Belass is definatley not a lock his line-out stat is 1. Maybe a prop, reason being that most of the South African props are listed as locks.